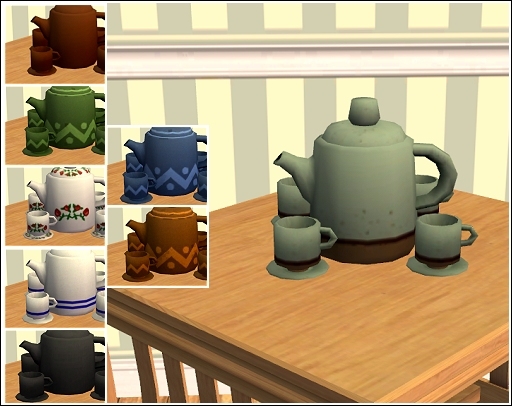 A resized mesh of the craftable tea pot/cups that came with Free Time. Base game compatible. Found under Deco - Sculptures and costs 40. Item has six recolors from the game textures and one black recolor. 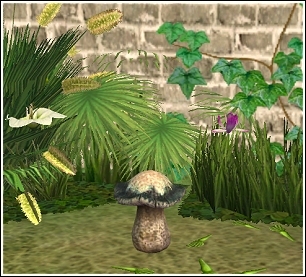 A resized mesh of the garden fairy that came with M&G Stuff Pack. 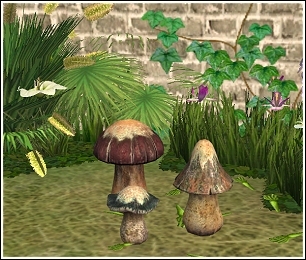 Click here for a size comparison, original mesh on the left. 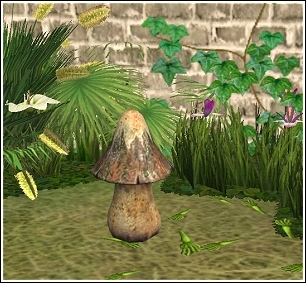 Comes with a worn, mossy recolor. 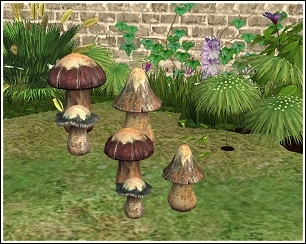 A resized mesh of the Mushrooms that came with M&G Stuff Pack. Base game compatible. 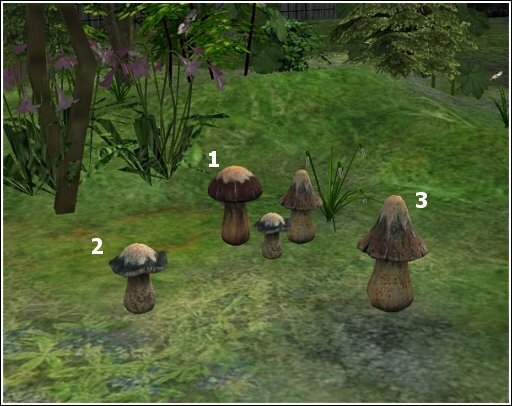 Found under Deco - Sculptures and costs 20 (single small mushroom), 25 (single tall mushroom), & 35 (group of mushrooms). 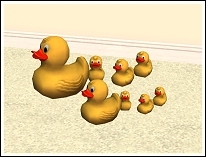 Click here for a size comparison, original mesh in the back. 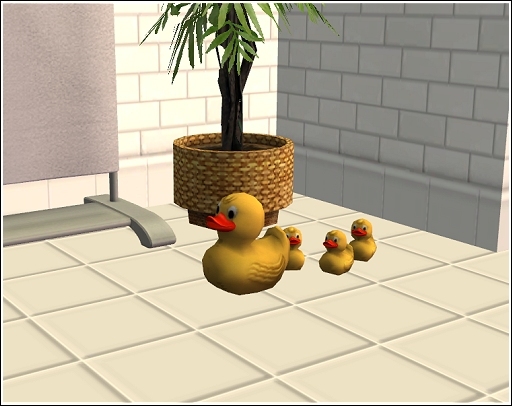 A resized mesh of the Kitchen and Bath bonus item, Ducks in a Row. Base game compatible. Found under Deco - Sculptures and costs 25. 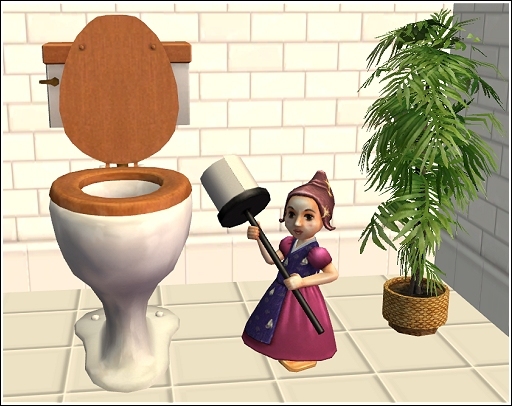 A resized mesh of the Kitchen and Bath bonus item, Miss. Handy. Base game compatible. Found under Deco - Sculptures and costs 30. 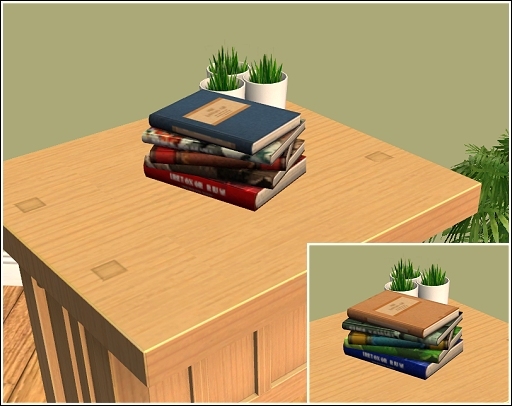 A small pile of books seperated from 'The Stacks' mesh from Free Time. 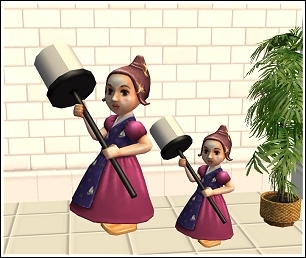 Comes with one recolor taken from game textures. 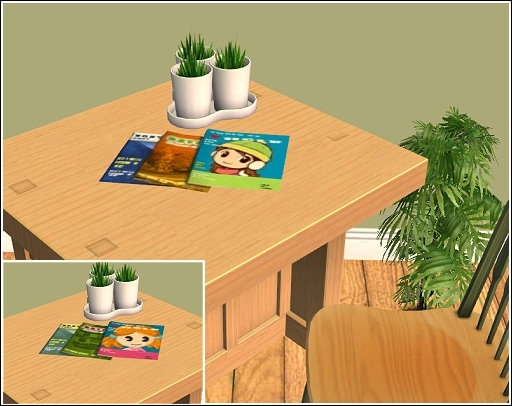 Three magazines seperated from 'The Stacks' mesh from Free Time. Base game compatible. Found under Deco - Sculptures and costs 20. 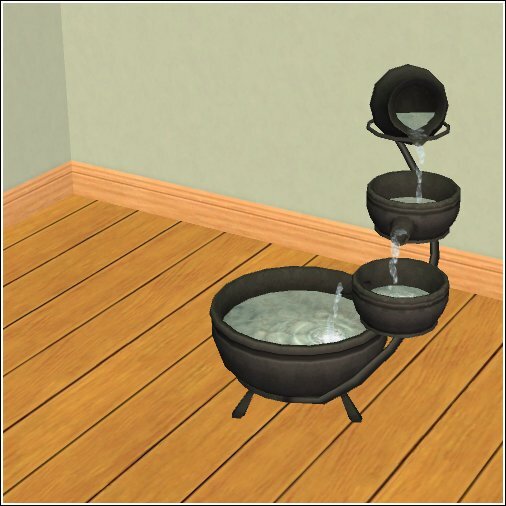 A simple black recolor of the 'Hole-y pots cascading waterfall' fountain.